Need help? How to keep safety clear and simple? 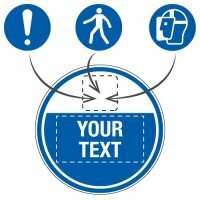 Keep your messages clear - Signs are the ideal way to communicate important messages to the people within your workplace, be these visitors or employees. By ensuring you use signage that features clear, simple instruction you can help to remove uncertainty and make sure safety procedures are followed. 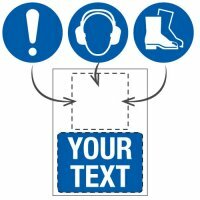 Signs that contain messages such as 'Keep clear', 'Keep locked', 'Keep out', 'Keep off the scaffolding' or 'Keep this area clean' can be useful to remind the people you have on site of what they need to do to keep themselves safe. Also, by using signs that encourage proper security procedures you can help to ensure your property and premises are protected. Keep it simple - Through the combination of simple instructions and clear imagery, our ‘Keep’ signs help to inform the viewer of the correct course of action simply and efficiently. By incorporating such signs at the most suitable locations in your workplace you can help to ensure the best safety procedures are followed. ‘Keep’ signs are the ideal way to enforce rules that could cause an incident if not followed. For example, you may have an area within your workplace that must remain clear in order to meet safety or cleanliness regulations – this is where ‘Keep clear’ signs would be a perfect choice. These are ideal for meeting fire safety regulations, ensuring that fire equipment and emergency exits are easily accessible or simply for keeping areas clear from clutter that could otherwise cause an accident. You may wish to browse our full range of Fire Exit Signs to find the most suitable signs for your premises. Accidents in the workplace can be significantly reduced and employee and visitor safety improved by ensuring that you display the correct, appropriate safety signs in areas that require them. These areas are likely to be those identified during your company’s health and safety risk assessment, where controlled measures have been put into place to reduce the risk of accidents and injuries but some level of risk still remains. ‘Keep left’ signs are a popular choice when it comes to managing the safety of pedestrians or vehicles on site, ensuring that they remain in their designated areas. Keep signs such as ‘Keep off the scaffolding’ signs and ‘Keep off’ signs are ideal choices to use in areas where construction is still in progress, and on building sites or areas that perhaps aren’t strong enough to bear weight. ‘Keep off’ is a popular choice in terms of security and safeguarding too – a multi-purpose sign that can protect members of the public, employees and your belongings or premises. Secure your assets - It’s important that your employees are continually reminded of their security obligations in the workplace. Options such as ‘Keep locked’ signs are ideal for use on doors or cupboards that need to be kept secure. For example, computer server rooms in offices or warehouses are home to a huge amount of confidential and sensitive information that should be kept secure and away from the threat of prying eyes. Electricity meters or boilers in shared properties may also benefit from this type of signage. ‘Keep out’ signs are again useful in terms of security –ideal for instructing members of the public not to enter restricted areas. Some areas of a business or warehouse may be extremely dangerous and should only ever be accessed by authorised/qualified personnel, due to the nature of works or materials performed and kept in this area. Advising members of the public to keep out immediately makes them aware of the potential risk to their safety and should cause them to think twice before entering as well as safeguarding your property from security risks. No matter what your ‘Keep’ signs need to signify, our wide range of messages, materials, sizes and orientations are here to help keep your premises safe, clear and accessible. All of our signs are not only extremely affordable, but are also fully compliant with current industry regulations, customisable to suit your requirements and made of long-lasting, durable materials, making them extremely good value. Furthermore, you can ensure your signs are placed exactly where they are needed, indoors or out, with our Sign Fixings, helping you keep your signs secured prominently and safely in place.